Prevention, rather than cure, is the philosophy, foundation and central theme to this thorough and easy-to-read reference book. Written by Dr. 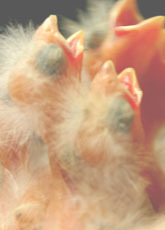 Rob Marshall, BVSc MACVSc (Avian Health) it is for beginners and pros alike! Every page has stunning quality color photographs with clear captions to illustrate and further exemplify canary health information presented in the text. It is well written with scientific based knowledge presented in an attention–grabbing format. 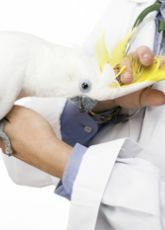 Attractive formatting features and summary tables are designed to aid the busy aviculturalist in quickly locating specific advice on the treatment and symptoms of a particular bird disease. Not only diseases and appropriate medicines are discussed also seasonal preventative measures are listed and clarified. The troubleshooting chapter is particularly useful, comprehensive, a valuable to any aviculturalist. Topics are listed alphabetically with relevant issues covered and linked appropriately to extended discussion in the body of the book. Topics discussed include first aid, going light, breathing difficulties, breeding problems and even dropping changes. Bob Moore - President-Border Fancy Canary Club of Australia Inc.
"Dr Rob Marshall is a highly respected avian veterinarian from Australia who has helped the canary fancy develop new techniques for improving fertility and breeding success. Over the past 20 years he has been closely involved with the canary fraternity and always takes time to explain and help us understand the problems that we experience. I particularly endorse the use of KD Powder. The information written in this book will be of great assistance to canary breeders throughout the world." "Today I came home to find that two baby gouldians have just emerged from their nest, and they are absolutely gorgeous. This is the first clutch that my birds have hatched since they have been on Dr. Marshall's regime, and there is a very noticable difference between these babies and the earlier clutch before Dr. Marshall's products. These babies have lush thick feathers and they are bigger and plumper than the last babies. They are flying with ease, and are even picking at the millet by themselves, on their first day out of the nest! I was amazed to see the babies nibbling away at the millet, right next to their parents! Do they usually do that so soon? They are having no problems at all flying around the cage, and in fact while I was banding them, one got loose in my apartment and flew around for a good little while!. I didn't expect that, since the last babies had kind of stumbled around for several days before flying. Now if they learn to talk, we'll know Dr Marshall's products really make a difference! Thank you so much for all your advice, and for turning me on to Dr Marshall's products. I am looking forward to watching them color out." 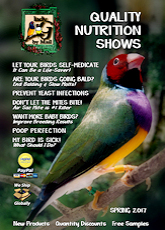 "What an incredible gift to have Dr. Marshall's "Canary Health" book! Thank you so very, very much for such kindness and such a wealth of great information. I want to read every topic immediately! I think it will help so much with understanding my canary and helping him get well. He's been sick for so long and is such a great bird. You are so generous and kind to help me out with such a valuable gift. Thank you very much!"